The band that gave us the golden post-alterna gems Silent Alarm (2005) and A Weekend in the City (2007) returns after four years with their fourth album casually named Four, and if the title seems like easy street, its 12 tracks follow suit with the nonchalance. Opener "So He Begins to Lie" kicks off with a false start in one of those recording bloopers bands often save for personality interims, and the album is never able to build its momentum as it gets jostled between a fight over noise rock and soft sleeper cells. This is the first release for the British quartet on American indie label Frenchkiss and the first album since 2008's Intimacy. During the downtime, all four members (catching onto the numerology theme yet?) found solace in new projects, most noticeably singer Kele Okereke, who released his first solo record, the catchy electro-rock album The Boxer. 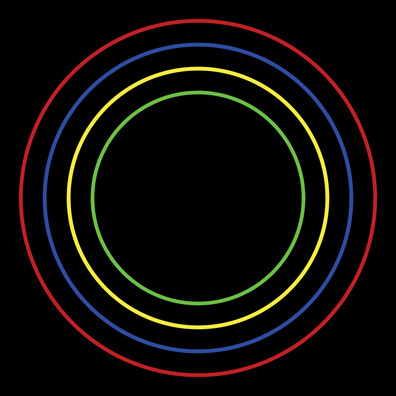 Although Okereke's new trajectory was rumored to be the end of Bloc Party, the band was quick to diffuse the rumors with Four, and unfortunately the album seems a victim of the rush to resurface.